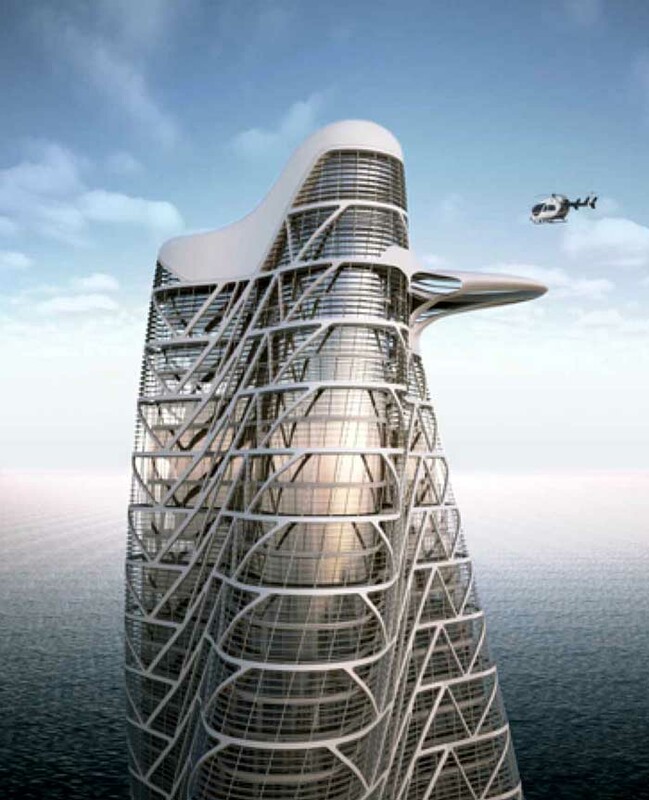 Forty-storey, luxury residential building in Abu Dhabi. 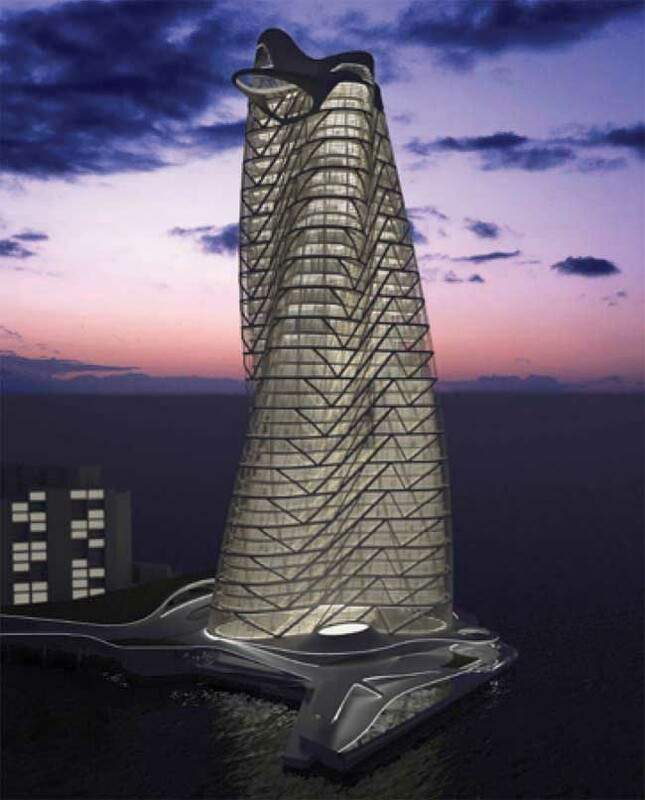 The Strata Tower is scheduled for completion in 2011 and, at a height of 160 meters, will be the tallest building in Aldar Properties PJSC’s prestigious Al Raha Beach development. Abu Dhabi, UAE—The Strata Tower, a forty-story, luxury residential building designed by architects Hani Rashid and Lise Anne Couture of Asymptote, has broken ground on Al Raha Beach and is now under construction. 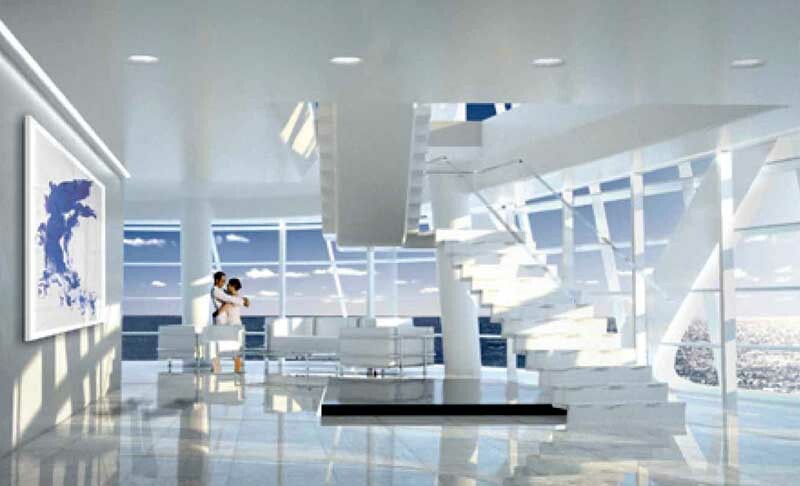 The tower is scheduled for completion in early 2011 and, at a height of 160 meters, will be the tallest building in the Al Dana precinct, the centerpiece of Aldar Properties PJSC’s prestigious Al Raha Beach development. The project and development was showcased at Cityscape Abu Dhabi from May 13–15, 2008. 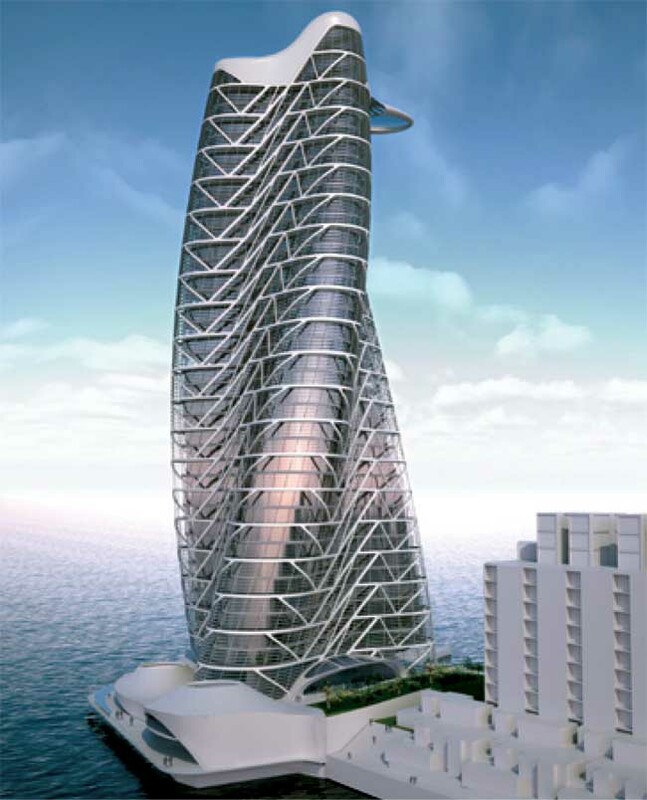 The landmark Strata Tower is designed to signify a dignified and important future for Abu Dhabi and the region. 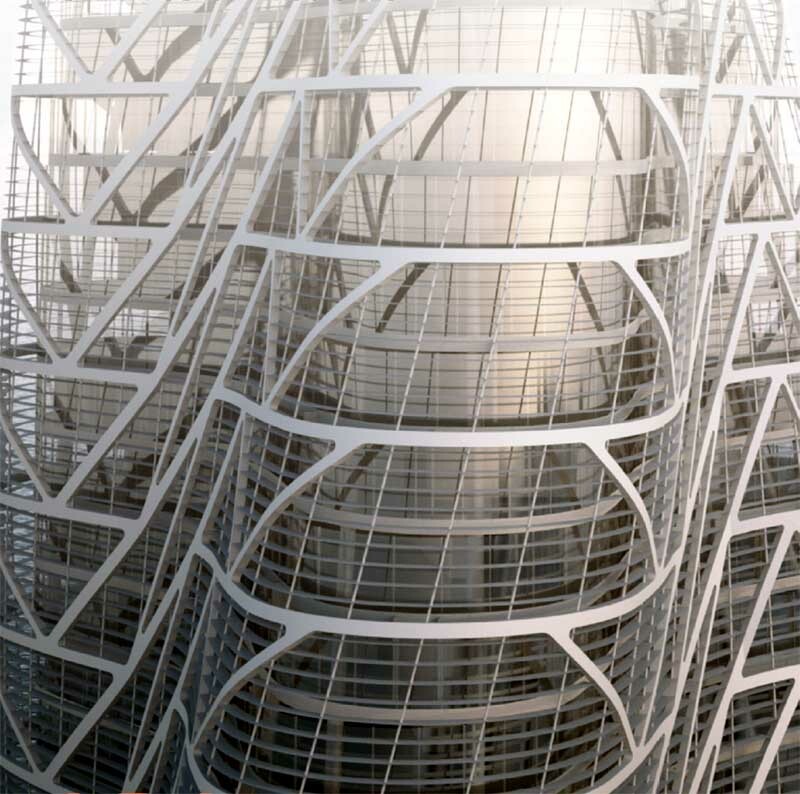 As a signature architectural statement, the Strata Tower’s articulate, striking physical presence seeks to encapsulate meaning through the use of abstract form drawn from both local cultural landscapes and motifs and dynamic forces of global influence. The Strata Tower’s design utilizes primarily mathematical means in its design to achieve both a poetic, as well as highly pertinent, architecture for the UAE, a region in flux with ambitions for continued rapid growth. 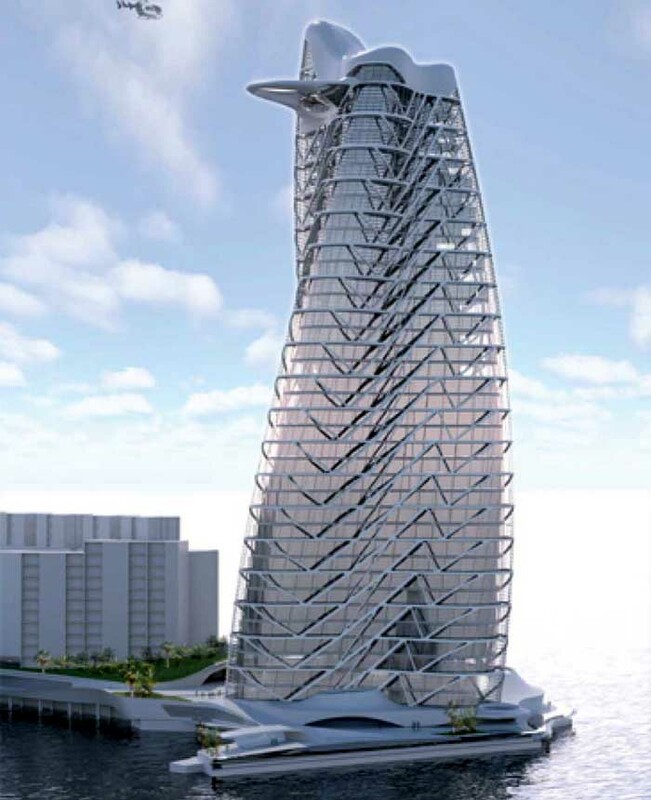 The Strata Tower’s innovative form was created using state-of-the-art, advanced parametric modeling tools and techniques from the onset of the design process to the production phase. 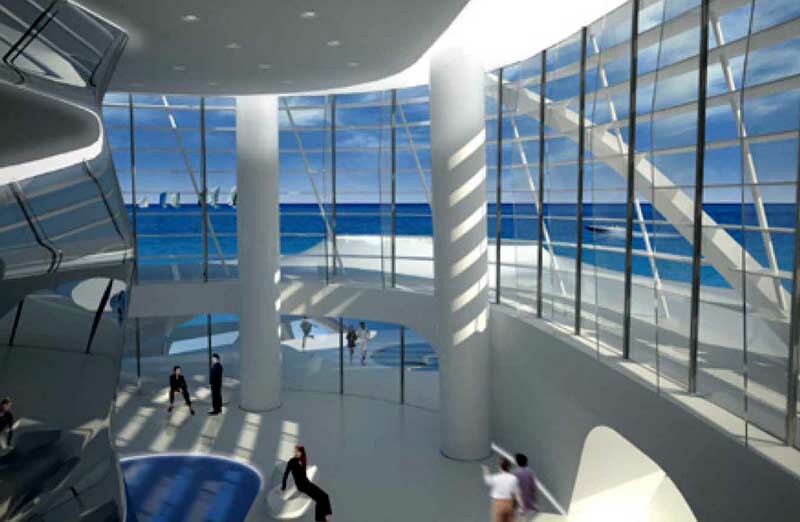 The building’s design emerged from various influences and factors including economies of production and fabrication with special consideration given to environmental sustainability. Sophisticated computer modeling and tools were utilized to produce the building’s intelligent, environmentally responsive louver system that is held in a unique, cantilevered exoskeleton structure. 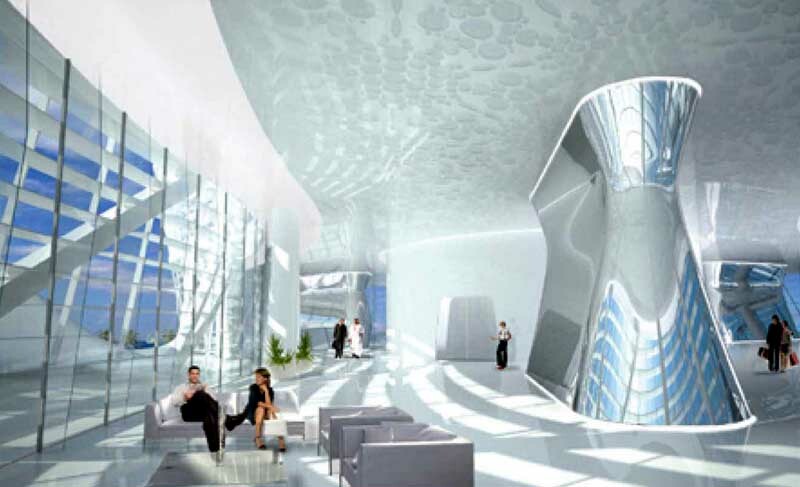 The exoskeleton veils the entire tower in a shimmering curvilinear form set against Abu Dhabi’s surrounding desert and sea, embracing and reflecting the ever-changing light and atmospheres that enfold and contain it. As architecture the Strata Tower resists being an overt, singular gesture reliant on a set meaning or association. 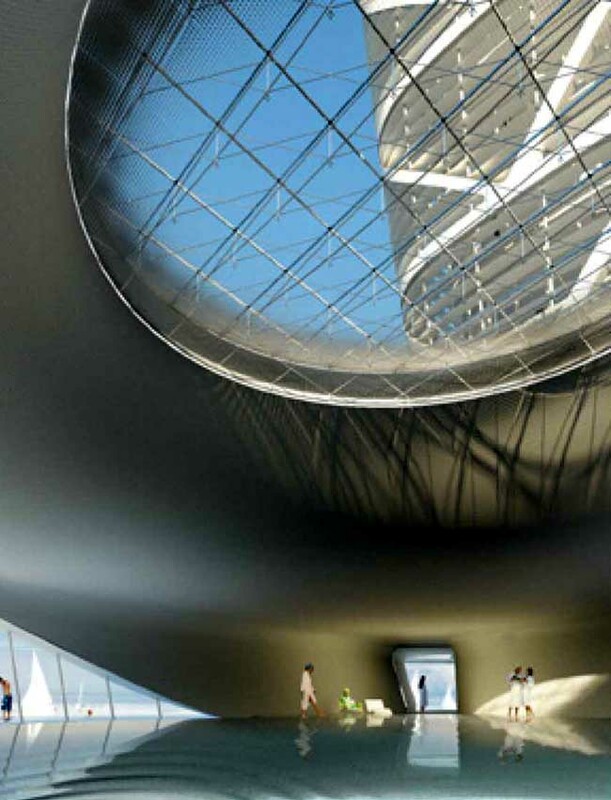 Rather, the mathematical properties used, not unlike those in the manifestation of the arabesque or abstract calligraphy, give the building its supreme elegance, prominence and potential for meaning and significance.